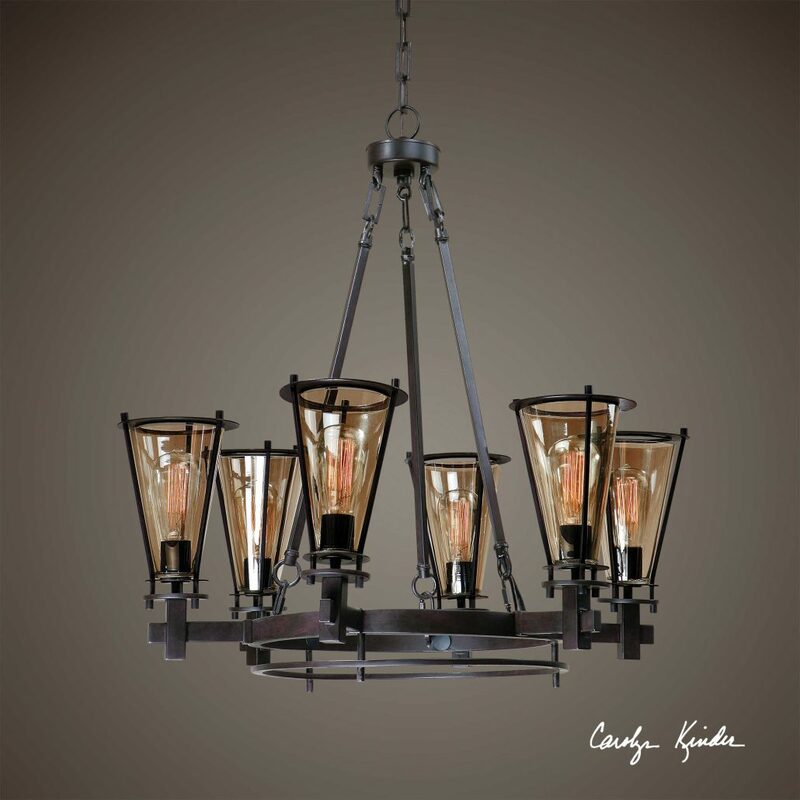 Designed by Carolyn Kinder International, the Frisco 6-Light Metal Chandelier has strong structural lines that can blend into everything from transitional interiors to classic prairie looks. Plated cognac tinted glass accented with rustic black metal details. Dimensions: 34 H X 32 Dia. (in); Weight: 25 (lbs); Includes 6 100-watt antiqued style bulbs. Available to trade professionals at Uttermost.com. For retail purchase Google keyword “Carolyn Kinder Frisco 6-Light Metal Chandelier”.